This Feed Policy was last updated on January 1, 2019. Please check this page periodically for any modifications. Malware.xyz may offer free subscriptions to syndicated, XML-based content in ATOM and/or RSS format. Please read the following feed policy carefully before subscribing to or using our feeds. 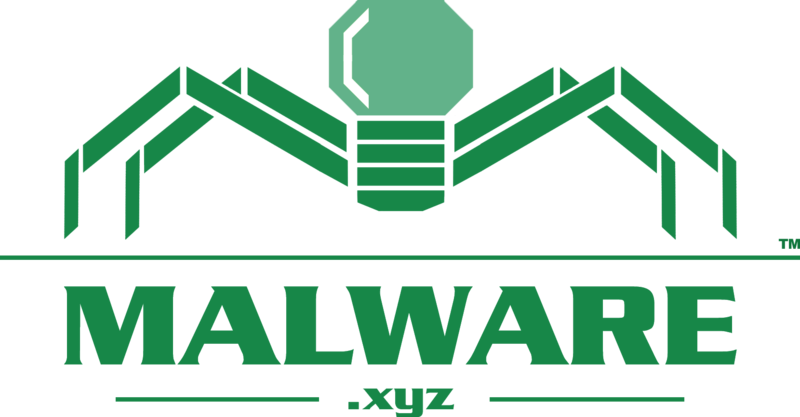 By subscribing to, accessing, or using or feeds, you are consenting to be bound by and are becoming a party to this agreement (“Agreement”) which governs the use of the Malware.xyz website. Subject to the terms of this Agreement and, unless otherwise consented to by Hubbard Digital LLC, in compliance with Usage Restrictions, Hubbard Digital LLC hereby grants you, during the Term, a revocable, nontransferable, nonsublicensable, royalty-free, non-exclusive license to access via your website (“Site”) or aggregator (often, referred to as a “feed reader”) the headlines, active links, or other source identifiers, and other information or materials at the Malware.xyz website provided that you do not alter, edit, or delete any of the Content. Hubbard Digital LLC may restrict, suspend, or terminate your access to any aspect or all of the Content or Service at any time without liability. Hubbard Digital LLC reserves the right to modify the Service at any time within Hubbard Digital LLC’s sole discretion. You acknowledge that Content availability is subject to change at Hubbard Digital LLC’s sole discretion. The Content is protected by the copyright laws of the United States and international copyright treaties. As between the parties, title, ownership rights, and intellectual property rights in and to the Content, and any copies or portions thereof, shall remain in Hubbard Digital LLC. Hubbard Digital LLC shall retain all rights to the Content and Services not expressly granted to you under the “Grant” section of this Agreement. You agree not to do anything contesting or impairing the rights of Hubbard Digital LLC in and to any of the Content and Services. Except as expressly set forth in the “Grant” section and/or unless otherwise consented to by Hubbard Digital LLC, you may not, directly or indirectly: (a) sell, modify, translate, copy, publish, transmit, distribute or otherwise disseminate the Content or any portion thereof; or delete or fail to display any promotional taglines included in the Content (b) rent, lease, or otherwise transfer rights to the Content; (c) display the name, logo, trademark or other identifier of another person or entity on your Site in such a manner as to give the viewer the impression that such other entity is a publisher or distributor of the Content on the Site; (d) remove, conceal or obliterate any copyright or other proprietary notice or any credit-line or date-line on other mark or source identifier included on Content or in the Services; (e) encumber or suffer to exist any lien or security interest on the subject matter of this Agreement; (f) make any representation or warranty on behalf of Hubbard Digital LLC; or (g) publish (republish) the Content or Services on any personal, informative, or commercial Site. The publishing and/or republishing of our syndications and feeds is strictly prohibited. During the term of this Agreement, you may have access to some of Hubbard Digital LLC’s and Malware.xyz’s nonpublic technical or product information (“Proprietary Information”). Such Proprietary Information shall belong solely to Hubbard Digital LLC. You shall not, except as expressly authorized by this Agreement, use or disclose Proprietary Information without the prior written consent of Hubbard Digital LLC unless such Proprietary Information becomes part of the public domain through no fault of yours. You agree (i) not to disclose any Proprietary Information to any third parties, (ii) not to use any Proprietary Information for any purposes except carrying out your rights and responsibilities under this Agreement, and (iii) to keep the Proprietary Information confidential using the same degree of care you use to protect your own confidential information, as long as you use at least reasonable care. You acknowledge and agree that due to the unique nature of Hubbard Digital LLC’s and Malware.xyz’s Proprietary Information, there can be no adequate remedy at law for any breach of its obligations hereunder, that any such breach may allow you or third parties to unfairly compete with Hubbard Digital LLC or its Malware.xyz website resulting in irreparable harm to Hubbard Digital LLC and Malware.xyz, and therefore, that upon any such breach or threat thereof, Hubbard Digital LLC shall be entitled to injunctions and other appropriate equitable relief in addition to whatever remedies it may have at law. Hubbard Digital LLC may use your name in releases, customer lists, marketing and other materials. Unless otherwise expressly permitted by Hubbard Digital LLC, you may not create, publish, or distribute any items that reference Hubbard Digital LLC or its Malware.xyz website without first submitting those items to Hubbard Digital LLC and receiving Hubbard Digital LLC’s written consent. Hubbard Digital LLC makes no representations concerning any interruption in Service. Hubbard Digital LLC provides the content and service on an “as is” and “as available” basis, without warranty of any kind, and Hubbard Digital LLC hereby disclaims all implied warranties, including without limitation warranties of merchantability, fitness for a particular purpose, performance, accuracy, reliability, and non-infringement. This disclaimer of warranty constitutes an essential part of this agreement. Under no circumstances and under no legal theory, tort, contract, strict liability, or otherwise, shall Hubbard Digital LLC be liable to you or any other person for any indirect, special, incidental, or consequential damages of any character including, without limitation, damages for lost profits, loss of goodwill, work stoppage, accuracy of services, content or results, computer failure or malfunction, damages resulting from disabling of the content related to non-payment of license fees, cost of procurement of substitute goods, or any and all other commercial damages or losses. In no event will Hubbard Digital LLC be liable for any damages in excess of the fees paid by you (if any) in connection with the content, even if Hubbard Digital LLC shall have been informed of the possibility of such damages, or for any claim by any other party. Some states do not allow exclusion of implied warranties or limitation of liability for incidental or consequential damages, so the above limitations or exclusions may not apply to you. In such states, the liability of the providers, third party content providers and their respective agents shall be limited to the greatest extent permitted by law. You hereby agree to fully indemnify, defend and hold Hubbard Digital LLC, its Malware.xyz website, and its respective affiliates, officers, directors and licensors (collectively, the “Provider Parties”) harmless from and against any and all claims, liability, losses, costs and expenses (including attorneys’ fees) incurred by you in connection with: (i) any use or alleged use of the Service or the Content through your account by any person, whether or not authorized by you; or (ii) your Site or Aggregator or (iii) any breach of the sections of this agreement. Hubbard Digital LLC reserves the right, at its own expense, to assume the exclusive defense and control of any matter otherwise subject to indemnification by you, and in such case, you agree to cooperate with Hubbard Digital LLC’s defense of such claim. The term of this Agreement will begin when you access the XML (RSS and/or Atom) feeds and will continue until terminated in accordance with this Section. Unless otherwise agreed to by Hubbard Digital LLC, you may terminate this Agreement and the license granted herein at any time by destroying or removing all copies of the Content from your Site or Aggregator, all hard drives, networks, and other storage media. Unless otherwise agreed to by Hubbard Digital LLC, Hubbard Digital LLC may restrict, suspend or terminate the Service, this Agreement, the license granted herein, or your access to any aspect or all of the Content or Service at any time without liability. You agree to destroy or return to Hubbard Digital LLC all copies of the Content and all Proprietary Information promptly upon learning of such Termination. The respective sections of this agreement shall survive termination of this Agreement. This Agreement represents the complete agreement concerning this license between the parties and supersedes all prior agreements and representations between them. If any provision of this Agreement is held to be unenforceable for any reason, such provision shall be reformed only to the extent necessary to make it enforceable. This Agreement shall be governed by and construed under the internal laws and jurisdiction of the State of Georgia. Any action to enforce this agreement shall be brought in the federal or state courts located in Atlanta, Georgia. You may not assign this Agreement without Hubbard Digital LLC’s prior written consent; any assignment by you without such consent shall be null and void. Each party shall be responsible for compliance with all applicable laws, rules and regulations, if any, related to the performance of its obligations under this Agreement. Neither party will be liable for any failure to perform any obligation (other than payment obligations) hereunder, or from any delay in the performance thereof, due to causes beyond its control, including industrial disputes of whatever nature, acts of God, public enemy, acts of government, failure of telecommunications, fire or other casualty. Hubbard Digital LLC is not responsible for any costs or liability associated with making a connection (by any means) to the Internet, the Service or other online service, or network. You certify you are legally permitted to use the Services and access the Content, and if you are an individual, you are over 18 years of age. You take full responsibility for the selection and use of the Services and access of the Content. This Agreement is void where prohibited by law, and the right to access the Content is revoked in such jurisdictions. The section headings appearing in this Agreement are inserted only as a matter of convenience and shall not be interpreted as substantive. Nothing in this Agreement will be deemed to limit or restrict Hubbard Digital LLC from entering into agreements with any other person covering services similar to your Site or Aggregator or from offering such similar services itself. The parties hereto are independent contractors, and nothing in this Agreement creates any Providership, joint venture, agency, franchise, sales representative or employment relationship between the parties. You have no authority to make or accept any offers or representations on our behalf and you shall not make any statement, on your site or otherwise, that contradicts anything in this Section. © Copyright 2019, Hubbard Digital LLC. All Rights Reserved.